In 2017, we’re inviting our member businesses to author calls-to-action that align with our 2017 Focus Areas. This month’s Call to Action comes from Cloudability CEO and BBPDX member Mat Ellis, who talks about the value of taking time to truly listen to the community. We were humbled by what we learned by connecting with Street Roots vendors. Anyone living in Portland will agree that homelessness in our city is at a crisis point. Our local governments, nonprofits, and business community have come together to help thousands more of our neighbors either escape or avoid homelessness every year. Still, the number of people in need is outpacing progress, and the rapidly growing gap between housing costs and income in our region is making homelessness worse. Portland has a tradition of businesses stepping up during times of need. As business leaders, we have the opportunity to lend our political, social, and financial capital to address this crisis. For the last few years, as Cloudability’s CEO, I’ve chosen to redirect money that we would have spent on a holiday party toward assembling supply kits for our homeless neighbors. Our staff and their families assembled bags with protein bars, tampons and hand-warmers to give to those experiencing homelessness in Portland. Everyone looks forward to this annual event, which has replaced the customary “put-on-a-tie-or-dress-and-sit-in-an-overpriced-steakhouse” style of event. It brings us together around a common cause, and is tremendously enjoyable, too. Since joining BBPDX, we have developed a greater appreciation for the value in taking time to listen and respond to the community. 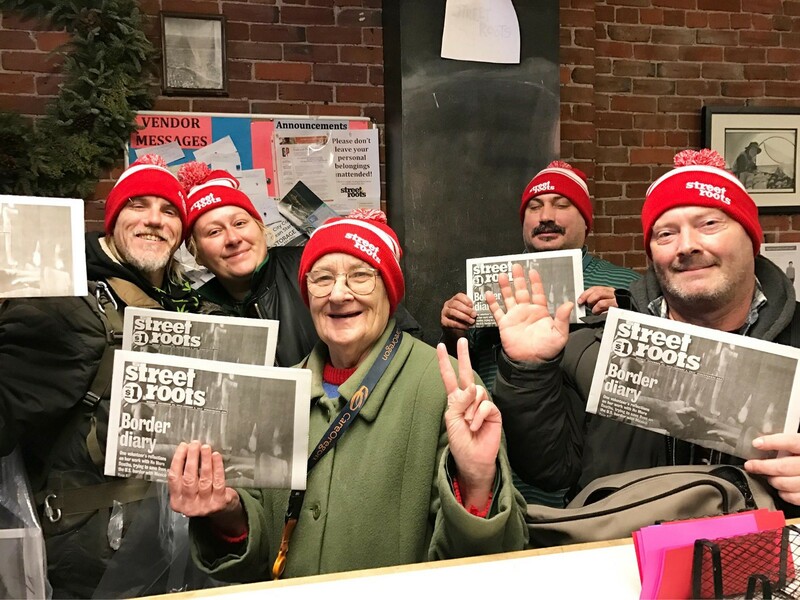 This year, we connected with Street Roots, the award-winning newspaper that creates income opportunities for those experiencing homelessness. We asked their newspaper vendors to share with us which items would be most useful and appreciated. We were humbled by their response. There were requests for basic supplies like warm hats, gloves, and sleeping bags. But they also asked for things we didn’t expect, like haircuts, movie tickets, and coffee shop gift cards — so they can go somewhere warm when it’s cold, take care of themselves, and connect with others. Protein bars were nowhere to be found on their lists, even though we’ve been including them for years. I know that giving kits to people living on the streets is a short-term answer to a long-term problem. We remain committed to directing most of our energy toward long-term efforts that create affordable housing — like BBPDX’s support of last year’s Yes for Affordable Homes campaign — or that prevent people from becoming homeless in the first place — like our advocacy for tenant protections in the past legislative session. Yet, we know that policy changes such as these don’t always come swiftly. Even as we wait for those long-term solutions to deliver on their promise, we can make a difference for our neighbors right now. I’ve learned that as business leaders, we must consider how our companies can be generous throughout the year, not just during the holidays. Sunscreen is as important in the summer as a warm hat is in the winter. Fund or host a “kit party.” Cloudability’s party date will be announced soon, and you are invited. Fill out this Google form to let us know if your company wants to attend our event or if you’d like to host one in your own office. With your contributions, our partners at Street Roots will purchase kit supplies in bulk, including items such as beanies, gloves, warm socks, ponchos, movie tickets or gift cards. We’re hoping that 5 other companies will sign up to host. Fund the purchase of kit contents. I encourage you to consider, as a business, that your company can spend $58 per employee on a holiday party and deduct that as a business expense. By making a contribution to Street Roots instead — a 501(c)(3) — you’ll also be eligible for a charitable deduction, so consider increasing your contribution accordingly. We’re hoping that 50 companies will join us in donating this year, and in building bridges between business and this important community organization. Sign up to volunteer for severe weather support. Multnomah County and Transition Projects will soon be recruiting volunteers so that when severe weather strikes, an army of volunteers from the business community is ready. Sign up here to let us know if you/your team want to be part of the BBPDX volunteer crew as winter weather arrives. Buy a ticket to LOFI, a fundraising comedy event hosted by BBPDX friend Lee Henderson. It’s been a busy, rough year, so we’re happy to share something a little light this month. All proceeds go to the fund at Street Roots to purchase kit supplies. This BBBPDX effort is of course just one of many initiatives underway to address the human toll of this crisis. Technology Association of Oregon (TAO) is organizing a similar event with the good folks at Impact Northwest in November. We’ll share information in the coming months on other ways to get involved as we look to 2018. I know you are busy, but I encourage you to make your contribution and sign up to attend or host a kit party today! Business For A Better Portland issues a call-to-action every month.